Ubisoft announced the newest in its Tom Clancy games at today's E3 press conference. 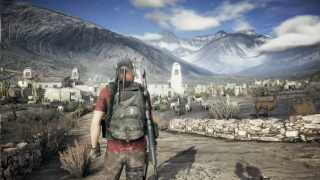 Ghost Recon Wildlands is an open-world, third-person military shooter featuring vehicular combat, 4-player cooperative play and "a massive and responsive open world". "Bolivia has become the largest cocaine producer in the world. The vicious Santa Blanca drug cartel has turned the country into a narco-state, leading to fear, injustice, and violence. The Ghosts, a legendary US Elite Special Operations team, is sent behind enemy lines to wreak havoc and break alliances between the cartel and the corrupted government." And here are the official screenshots. No release window was announced, but don't expect this to release any time soon.